Lynn Fuson began his business career in 1977 and worked in the Telecommunication environment until his retirement in 2002 in a Senior Manager with BellSouth Telecommunications, Inc. After doing consulting work both domestically and internationally for a few years, he agreed to come to work for his son, Joseph, in 2007. He has seen both Mark and Joseph prosper with their own respective firms, and was on hand as the Freeman and Fuson Partnership was formed in 2009. 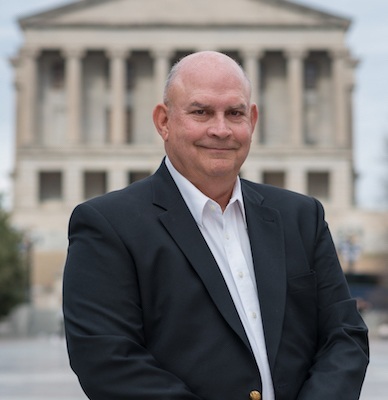 He provides administrative support to the firm and has been instrumental in helping the Partners build one of the finest group of Attorneys and support staff of any law firm in Middle Tennessee. Lynn is married to his wife, Gayle and has 3 wonderfully successful children and 5 fabulous grandchildren. He splits his time between his job as a grandparent and Office Manager for Freeman and Fuson, while slipping in a round of golf or two each week.